dedicated to the consumption and creation of food. Groupon is one of the many “deal a day” e-mail services you can sign up for. Given the need to have five a week, and the plethora of similar services, the pickings can be slim. Today’s is a winner though. 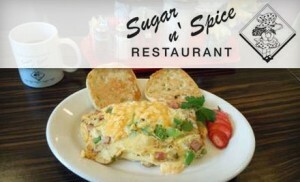 For $6 you get a $15 off your bill (see link for reasonable rules). 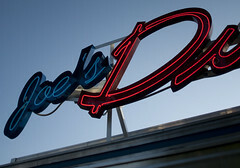 The old Diner on Sycamore returned to life today as Joe’s Diner on Sycamore began their “soft open”. The grand opening is currently set for August 10th, but they are going to basically run pre-season for the next few weeks to work out the kinks. The menu is still pretty extensive for a “limited menu”. The waiter explained that the sides and the Salmon BLT were not available.